Разстояние до летището 72,9 км. Имате въпрос към Camarin Residence? Разположен в чудесния район Централен Канди, Camarin Residence заема удобно място в култура, религиозни интереси, разглеждане на забележителности център на Канди. Хотелът се намира на 1.5 km от центъра на града и осигурява достъп до важните места на града. С удобното си местоположение хотелът предлага лесен достъп до всички градски забележителности, които задължително трябва да се видят. Camarin Residence предлага безупречно обслужване и необходимите удобства, за да удовлетвори гостите си. Безплатен WiFi достъп във всички стаи, ежедневно почистване, таксиметрови услуги, 24-часова рецепция, Wi-Fi връзка в общите части са само част от нещата, които отличават Camarin Residence от останалите хотели в града. Camarin Residence разполага с 4 стаи, които са обзаведени с вкус. Много от тях предлагат удобства като спално бельо, огледало, хавлии, достъп до интернет (безжичен), безжичен интернет достъп (безплатен). Освен това в хотела можете да се възползвате от множество предложения за приятно прекарване на свободното време. Camarin Residence е добър избор за всички посетители на Канди, защото предлага спокойствие и безпроблемен престой. Общее впечатление отель произвел хорошее: чистые номера, приятный персонал, неторопливый завтрак. Place is on a hill but quick ride from railway station and bus station.Well maintained clean place.Staff is very helpful and breakfast is good.Worth a place to stay in Kandy. I would recommend it to my friends and family.Thank you. A little walk (10 min downhill and 15 min up) from central streets with restaraunts and cafees, so very quiet place. GoogleMaps location correct. Clean and comfy, good breakfast, good staff. Adding some clothes hooks in washroom will be great. Many many thanks to the owner Mr Kumar and his assistant Mahesh who has done a great job to accommodate our stay. The rooms we booked were clean & comfortable and they even woke up early to prepare us a 'breakfast box' for our very early departure to our next destination. 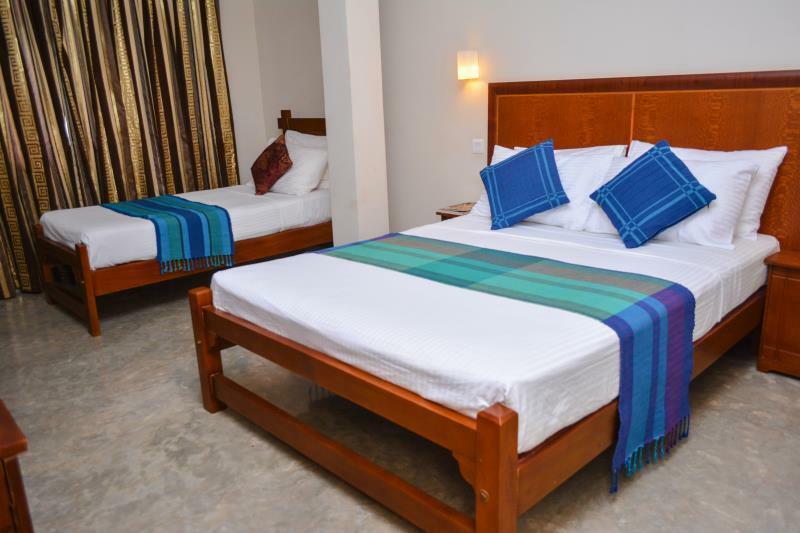 We recommend this place for travelers seeking a restful & relaxing stop here in Kandy, location is quiet yet a few steps to the bustling beautiful city. Once again, thank you both to Mr Kumar & Mahesh. The Camarin Residence is a fabulous property conveniently located in the central region of the city. Most appealing to me however, was the generosity of spirit of the staff. The manager Mr. Kuma, went the extra mile to ensure my comfort and was very accommodating of my special requests. His supervisor and likewise the young man - who cleaned the rooms and prepared breakfast - named Myst, were also very pleasant and kind. I highly recommend travellers to stay at the Camarin when in Kandy and look forward to staying here again. this newly built hotel has only been open for two months – it is immaculate. 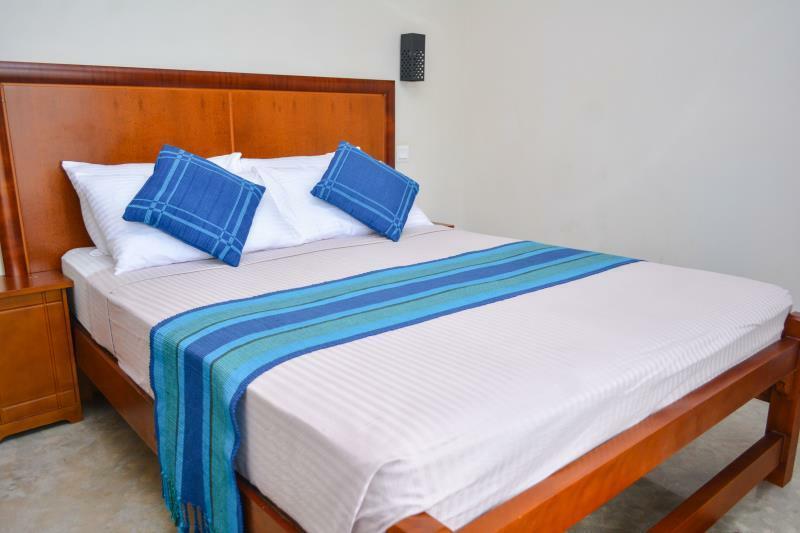 The room is clean and modern, the bed is comfortable with new fresh linen. The bathroom is modern and a good size, the shower is hot and powerful, really needs a pump but is ok, with a little dip in the floor so the rest of the bathroom doesn’t get soaked. Nothing is too much trouble for the staff, they are lovely and speak good English. The breakfast is very good and served on lovely gold rimmed chinaware. The wifi is good in reception, we enjoyed our stay in this new, modern and friendly hotel. The hotel is in a good position, it is up a hill but not too daunting – we are not particularly fit and we managed just fine. Turn left, down the hill and a 15 minute walk to the lake and Tooth Temple. In Colombo Street is a good restaurant – Aroma and the road alongside is a the Royal for drinks or eating. Note – there are huge moniter lizards and turtles in the lake – and bats hanging from the trees – keep your eyes peeled! staff is helpful and kindly. room is tiny but enough for 1 night. Mr Kumar was very very helpful in arranging everything for us . Would definitely come back again . We stayed at Camarin Residence for 4 nights and absolutely enjoyed it. The rooms are clean and in a good condition. Breakfast was really good (fresh fruits every morning, toast with jams and if you wish you can get a fried egg!). The owner as well as the staff (Clinton) are very nice people and really helpful. Location is quite good, just 10 - 15 minutes by foot to the tooth temple, but be aware coming back to the hotel you have to walk uphill for a bit. WIFI is unfortunately only available downstairs in the public area, but okay that was not that big of a deal. 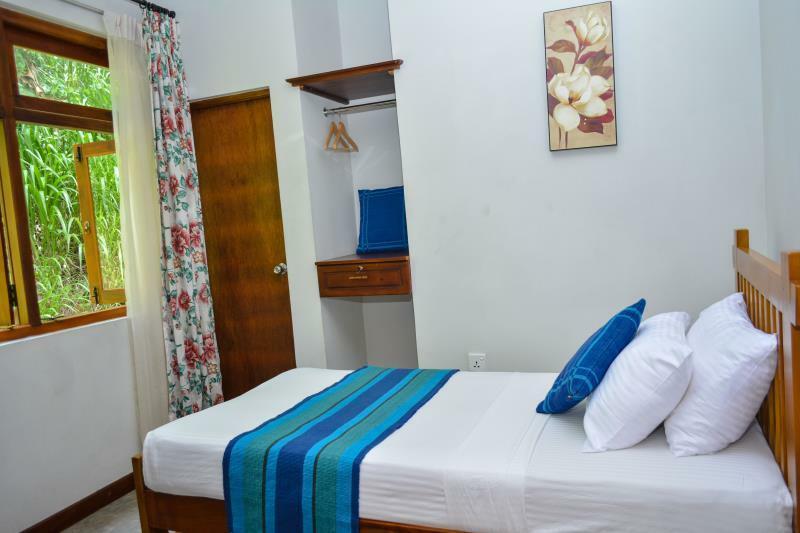 A very affordable room away from the busy Kandy city center. Room was comfortable with basic amenities. Kumar, the lovely hotel manager, provided excellent service! He has kindly offered to accompany me into town as I didn't know my way around, shared his delicious ginger biscuits with me, and made sure I got to the train station on time by calling a tuk tuk for me when my driver was running late. Of everyone, Kumar is the favorite person I met during my trip. He'll do everything he can to make sure you're comfortable. 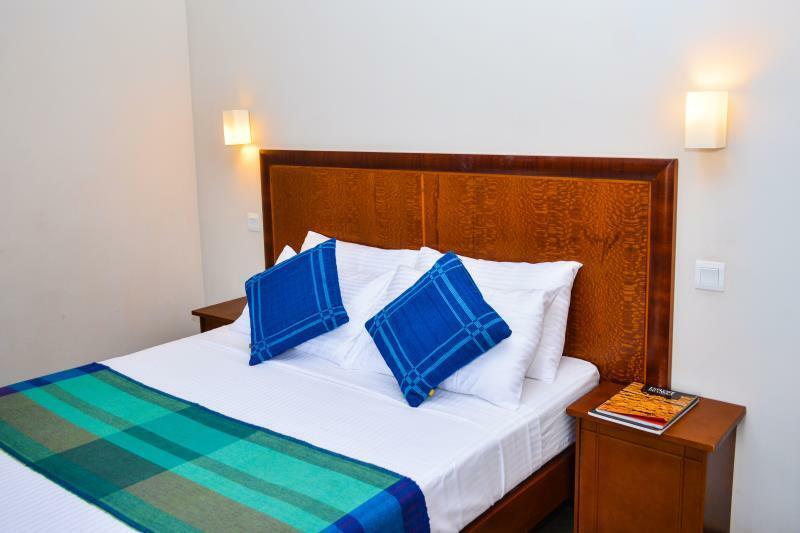 Hoste very nice, room clean with AC , beds comfortable, bathroom clean. Skuma didn't hésitate to show us the way to go by foot to kandy centre from the guest house. Breakfast was good with delicious home made fruits juce. We recommand! You can go there whithout hesitation! Generally people in Sri Lanka are nice but the manager, Mr Kumar (if I'm not mistaken) is the nicest person you'll ever meet in Sri Lanka! He's very accommodating and kind. The rooms are spanking clean and the toilet is top notch. It has a hipster vibe and a lavish touch but at a very affordable price! If I'm coming back to kandy, no doubt I'll stay in camarin residence! The manager of the hotel is a very nice person, such a lovely host. He helped me in so many things and I'm very gratefull for that. It is a quiet place to be after the busy day to have a nice sleep & rest. We liked the nice and helpful owner, and the room was clean and quiet, if somewhat small. There is a big rooftop terrace soubling as smoking area. It's eelatively close to the center, a 10 min walk. The coffee they serve with breakfast was good and strong, unlike many places in Sri Lanka. All in all I'd recommend it. Hosts were very helpful and catered to all our needs. Hotel 10mins from Kandy centre, but beware of the hills. Overall can't really fault it. Laundry was very cheap - all our clothes washed for 300Rs. However, wifi was very weak in the room. Would stay here again. Camarin is such a lovely place to relax and enjoy the mountain scenery. Mr. Kuma was such a wonderful host throughout my three day stay. He even suggested all the touristic spot in Kandy and tried to help me going out there. I really appreciated Mr.Kuma's hospitality and dedication at work.